A couple of weeks ago, we published a "primer" on outflow boundaries. I hope you read it and learned something (if not, you can find it here), because yesterday morning the grand-daddy of outflow boundaries strafed the Memphis metro as it headed south ahead of severe storms that moved through in it's wake. Though it was early morning, we were fortunate that the sun had risen or this beauty would have been missed! It's not often we see a shelf cloud this "clean," with such a well-defined leading edge. I've posted a few pics below from MWN followers who were as amazed as we were. 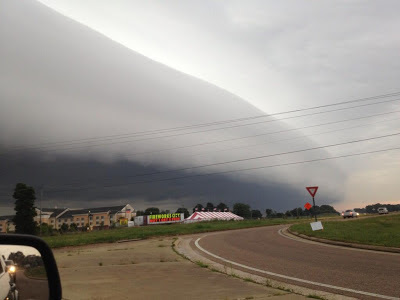 A couple of "apocalypse" references were even witnessed on social media as the shelf cloud (the visible incarnation of the outflow itself), and what appeared to be boiling black skies behind it, passed overhead. Click each to enlarge. Underside of the shelf cloud as it passed overhead Bartlett. Taken by MWN meteorologist Erik Proseus. Amazing structure on the shelf as it crossed into Southaven. Photo credit Tom Rose. Weather in the metro the past several days has been relatively uneventful with Bermuda High pressure dominating over our area bringing low to mid 90 temps and Gulf moisture into the region on southerly wind. The only fly in the ointment has been a few isolated afternoon thunderstorms that have popped up in the heat of the afternoons and dissipated around sunset. After yet another hot and humid day on Wednesday the pattern begins to change as the high pressure weakens allowing a disturbance to swing through in the early evening hours which will give us a chance of showers and thunderstorms moving across the metro. 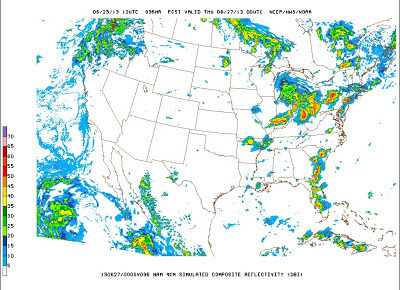 The High Resolution NAM model indicates a chance of precip in the metro Wednesday evening. This is a model graphic, depicting a possible scenario, and is not a forecast. Behind the disturbance the metro will be in northwest flow, meaning the upper level winds are moving from northwest to southeast, putting us in the path of storm systems as they develop over the plains. This pattern sets the stage for a series of MCS’s (line of thunderstorms) to move across the metro from Friday through the weekend, however timing of these systems is hard to predict more than 24 hours in advance. Overall, high temps will drop to near 90 with humidity levels decreasing to more comfortable levels this weekend. That will also allow overnight low temperatures to cool down slightly. 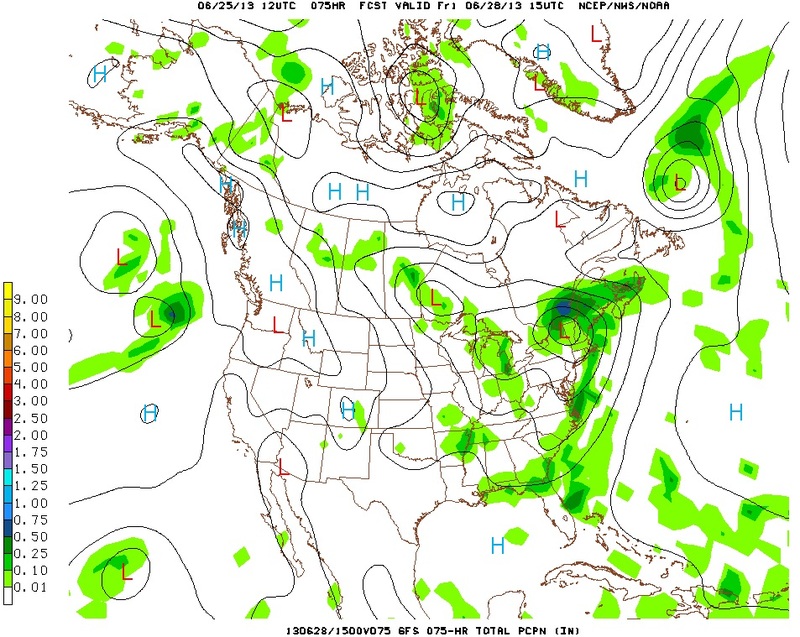 The GFS model predicts another possible round of precipitation on Friday morning. Supermoon tonight! But what makes it so super? Though the full moons of May and July also classify as "supermoons," this one is the super-est! A description of what makes a moon a "perigee" or "apogee" moon, courtesy NASA.gov. So why I am not so impressed with the supermoon? Well, while a full moon at perigee is up to 14% larger and 30% brighter than a full moon at apogee (it's furthest point from earth), the apogee moon occurred many months ago, so the moon will not be 14% larger than it was last night. By naked eye comparisons, the difference from recent full moons you may have seen, even under the most ideal viewing conditions, will be minimal. HOWEVER, if you take a minute to think about the fact that these astronomical phenomena are occurring simultaneously while you're checking out the supermoon (even if it does happen every year and the difference between the moon last night and tonight is barely noticeable), it can be SUPER cool to see! 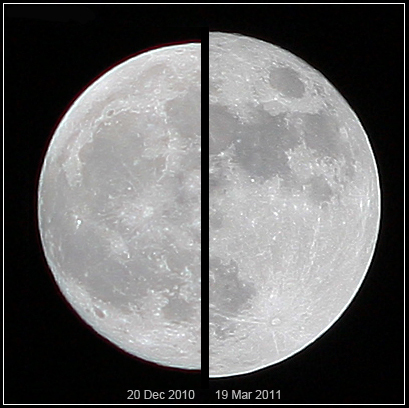 Comparison of the supermoon of March 2011 to a "regular" full moon 3 months earlier. So when should you view the supermoon? The actual time of the full moon is 6:32am CDT Sunday, which unfortunately is after it has set here in the Memphis metro. However, anytime tonight (the moon rises at 7:35pm and sets at 6:02am Sunday), the moon will appear full and will be nearly at it's closest point of approach to the Earth. To view it at the closest point in time to it's actual perigee and full phase, catch it Sunday morning right before it sets, or between 4-6am. The distortion of the atmosphere, which causes the moon to appear larger when it's near the horizon than overhead, will make it that much more impressive! For more of the nitty-gritty details, check out this article from EarthSky.org. Outflow boundaries can be really cool to watch in action. They seem to have a life of their own, even though it is somewhat predictable. Here's some background on what they are, how they form, and how they played into today's storms over the metro. Within the towering clouds that make up a thunderstorm are updrafts and downdrafts - basically, vertical rivers of air that carry precipitation high into the cloud and then unload it on those below. In the formative stages of a thunderstorm, the updraft dominates as the clouds grow. In a mature storm, updrafts and downdrafts are relatively equally balanced. 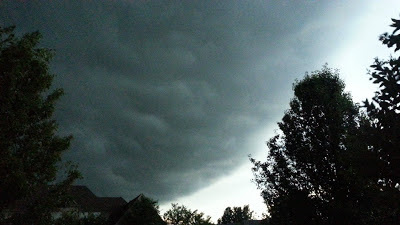 As the downdraft begins to dominate, the storm falls apart and "rains itself out." The diagram below demonstrates this well, with the yellow arrows showing the direction of the air flow. Because the air that originated from the thunderstorm and is rushing out behind the outflow is cooler than the air it is displacing, a mini cold front is, in essence, created along that boundary or gust front. Cold fronts that encounter warm humid air, untouched by a thunderstorm outflow, can cause new storms to form, just as the storms they originated from are dissipating. This was very evident late this afternoon as shown in the radar loop below. The outflow boundaries are the thin blue lines expanding from the storms (air rushing away from the storms that produced the downdrafts). As they encounter virgin air that was in the 80s, new storms form on the boundaries. Watch the loop a few times and see for yourself! So why do the outflow boundaries appear as thin blue lines on radar? First, the blue color is simply one of the lowest values on the radar scale used in this loop. So how are they even detected? Remember that radar detects not only precipitation, but anything in the air, even very small particles that we may not see with the naked eye, that reflects radar energy back to the radar dish. In this case, the gusty wind is picking up dust, dirt, and other small objects like bugs (!). Those objects are detected by the radar just as raindrops are. Because they "float along" on the leading edge of the outflow boundary, they make it easy to detect exactly where the boundary is without looking at the radar velocity (wind) product to see which way the wind is actually blowing! Another detailed description of outflow boundaries/gust fronts, with radar imagery and photographs to illustrate, can be found in this previous post from the MWN Blog. To view the loop above in a separate window, click here. The end of sub-90 weather and re-introducing "heat index"
UPDATE: As of 3:09pm, Memphis International Airport officially reached 91 degrees. Welcome to summer! Ladies and gentlemen, appearing for the first time in 276 days, please welcome back to Memphis, TN - THE 90's!! OK, so maybe you're not excited about it either, but today's forecast high of 91 at Memphis Int'l Airport will officially end our "90s drought" at 276 days and mark the latest initial occurrence of 90 degrees in Memphis in 10 years. The last time it was June 10 before we hit 90 for the first time was 2003. Memphis last reached 90+ on September 7th, or 276 days ago, when we topped out at 96. In fact, during that time span, September and February temperatures averaged very near "normal," while the typically colder months of December and January were above normal and the other months (October, November, March, April, and May) all averaged below normal. Overall, that ends up making for a rather nice 9-month period with a warmer than average winter and cooler than average spring! Now that we're back to the 90s again, it'll definitely feel like a Memphis summer this week. No flirting with 90 for long - it's straight to the mid 90s and typical Memphis humidity for a few days at least. Once again, we'll have to start including the dreaded Heat Index in the forecast once again as massive high pressure over the southern plains impinges on the lower Mississippi Valley, squashing thunderstorm chances and allowing temps and humidity to rise. Remember that all official temperatures are taken in the shade and heat index readings are also for shady locations. It can be as much as 5-15 degrees warmer in direct sunlight and as hot as 110 degrees or higher in airtight vehicles parked in the sun for as little as 20 minutes! As we head towards the "dog days" of summer, be sure to re-visit these heat safety tips from MWN and check out the MWN Forecast to find out how long these 90s will last! So are you glad to have the 90s back or are you dreading another hot Memphis summer? Comment below or on our Facebook page! After enjoying a couple of near-perfect early summer days on Friday and Saturday, southerly wind has brought Gulf moisture back into the region as a weak cold front and fairly potent upper-level disturbance approach the Mid-South. This combination will set the groundwork for storms this afternoon and evening, a few of which could become severe. 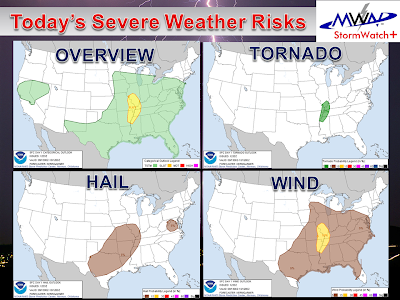 Below is the severe weather outlook for today, with graphic from the Storm Prediction Center. The main threat today will be damaging winds produced by cluster of storms that are likely to form by mid-afternoon and move across the area through mid-evening. The probability of 60+ mph wind over the metro is 15%, while there is a 60% chance of storms this afternoon into this evening. We'll keep you abreast throughout the day via our social channels listed below, as well as via our website and mobile apps. Watch for further updates as the day goes on. The Storm Prediction Center (SPC) in Norman, OK has placed the entire region in a Slight Risk for severe weather today. At 10:45am, a weakening convective system is moving across northern AR and southern MO, driven by an upper-level disturbance ahead of a cold front. Storms to our east are associated with a separate disturbance and pose no threat to the Memphis metro. As the disturbance gets closer, and perhaps with the aid of an outflow from the storms to our west, storms are expected to develop in an unstable airmass over the Mid-South. A few thunderstorms are possible by mid-afternoon in the heating of the day as temperatures reach the upper 80s, however storms triggered by the disturbance are more likely from rush hour through the evening hours. The main threat will be straight-line wind, though some hail is also possible. Tornadoes are not expected. We do not believe there is an overly high chance of severe weather, but sporadic reports of 60 mph wind and small hail are quite possible. 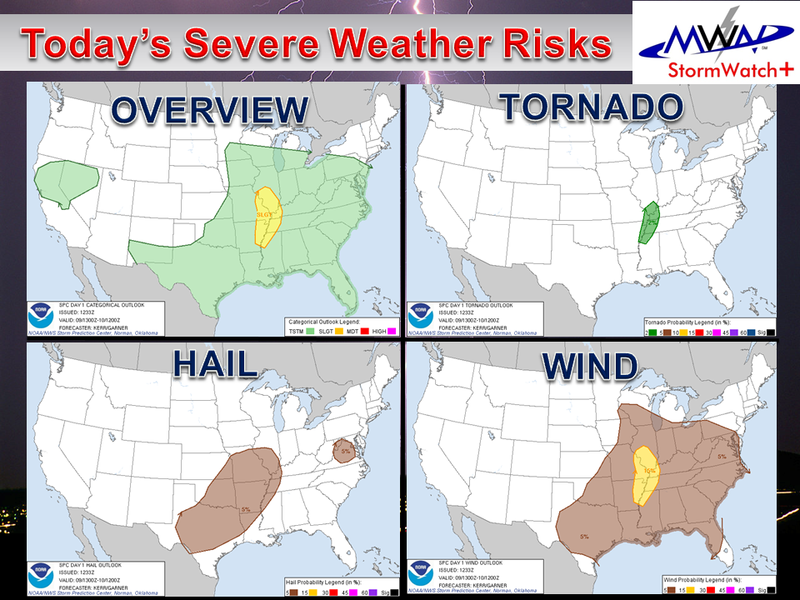 Below are graphics from SPC, which will automatically update as new graphics are released. The Storm Prediction Center has the entire Mid-South in a Slight Risk for late this afternoon and evening. SPC severe wind probabilities for today. There is a 15% chance of damaging straight -line wind. SPC severe hail probabilities for today. There is a 15% chance of large hail. 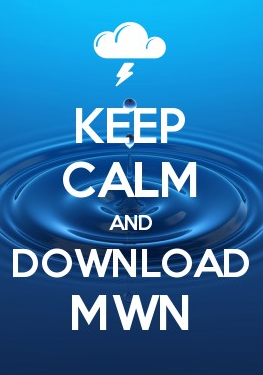 MWN will nowcast any storms that move through the region on our Facebook and Twitter accounts, linked below. Any watches or warnings will be pushed to StormWatch+ in our mobile apps as soon as they are issued by the NWS. Last Friday morning, a brief tornado touched down in central Tipton County, TN, about 4 miles northwest of Covington. Two homes sustained significant damage and a shop was destroyed. 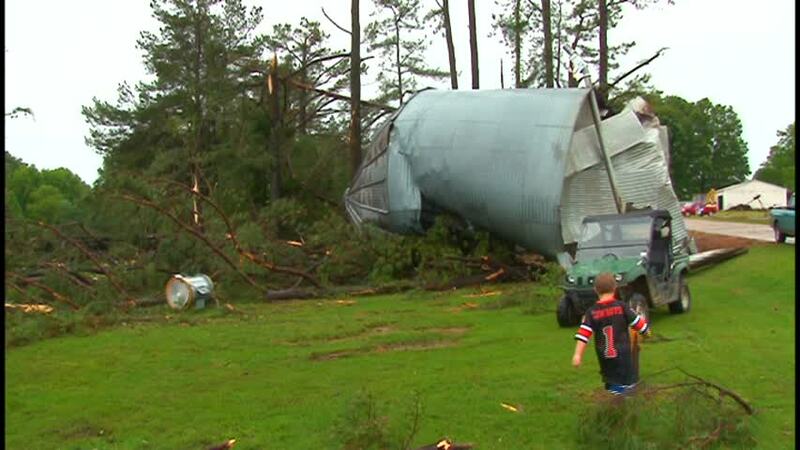 In addition, there were downed trees and a grain bin was overturned. The National Weather Service rated the tornado an EF-1 with approximate wind of 95 mph and a path length of 1.3 miles. 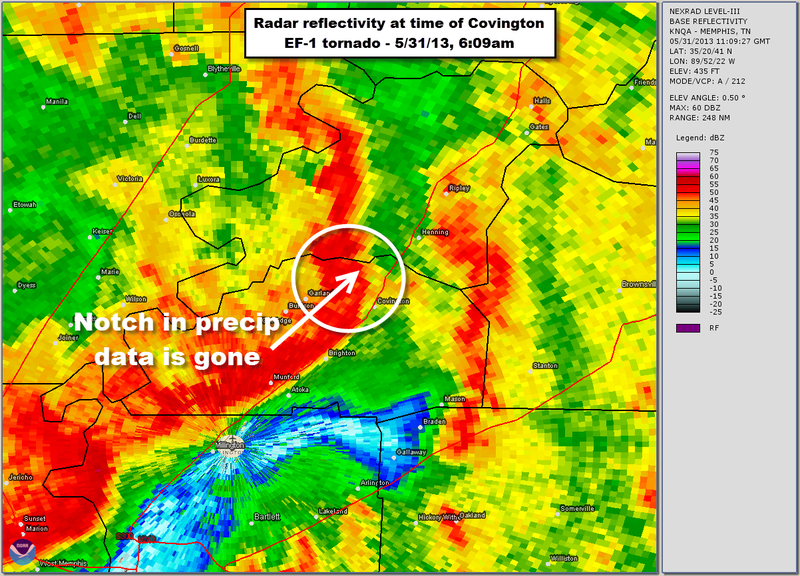 The tornado was on the ground for about 4 minutes from 6:05-6:09am. There were no injuries. 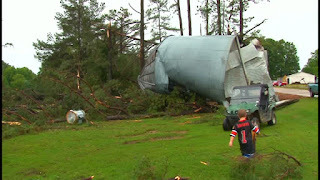 A grain bin was overturned and 2 homes and other property were damaged from an EF-1 tornado near Covington on Friday, 5-31-13. 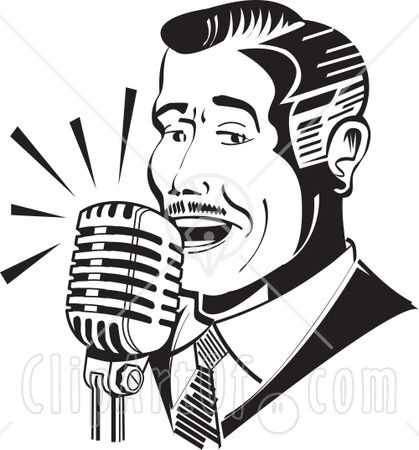 Photos from WMC-TV. The tornado is one of the type that meteorologists refer to as a "spin-up" tornado, which typically occur along a line of thunderstorms, not from a supercell. Lines of storms, which can be called squall lines or quasi-linear convective systems (QLCS), can occasionally produce these brief, weak tornadoes and this was a classic example. A bow echo in the line (named because it arches forward like an archer's bow) pushed out as it crossed Tipton County and on the north end of the bow (a typical place for some rotation), the tornado formed, touched down, produced minor damage, and quickly disappeared. 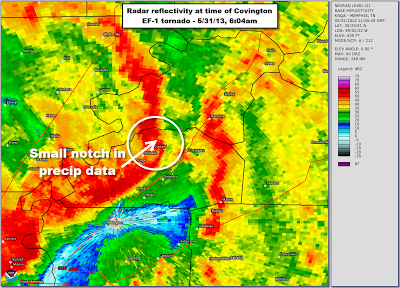 Radar loop of squall line (QLCS) as it marched across Tipton Co around 6am on Friday, 5-31-13. The bow echo is visible moving across northern Tipton Co. (center of image). The NWS NEXRAD Doppler Radar system nominally takes about 5 minutes to produce each set of images for the forecaster to analyze. In cases of QLCS tornadoes, most of the time the tornado may show up on one set of imagery, then disappear in the next set. This tornado lasted 4 minutes, so the forecaster would have had no more than one set of data to look at to spot the tornado. With QLCS tornadoes, literally by the time the warning meteorologist sees the radar data indicating a possible weak tornado and issues a warning, the tornado is gone. (Top) Reflectivity (or precipitation) data as the tornado touched down - 6:04am. 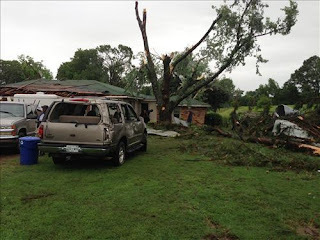 The twister occurred in the favored area for QLCS tornadoes, at the northern edge of the bow echo. (Bottom) Velocity (or wind) at the same time. 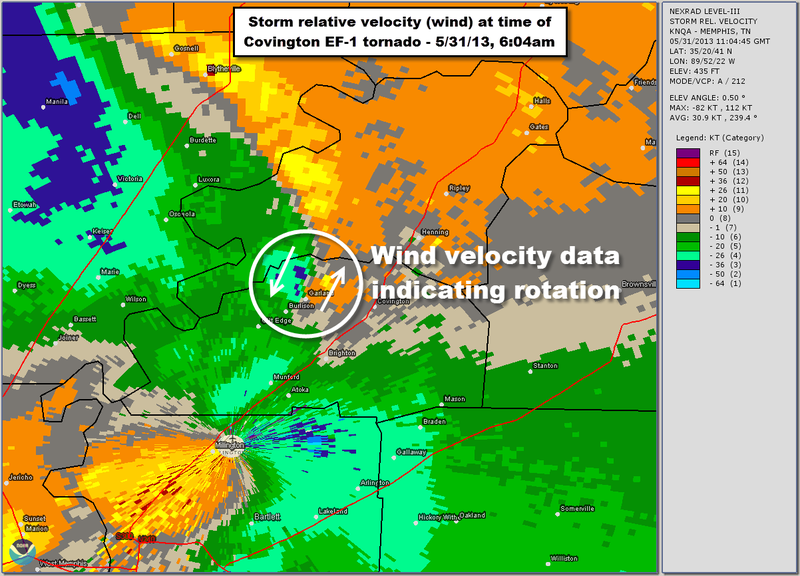 Rotation is observed in the wind data. This can create a dilemma for the NWS on how to warn on these scenarios. Issue a tornado warning after seeing the spin-up on radar for a storm that likely won't produce another tornado after the warning is sent out, hence warning needlessly and after the fact? Warn on every QLCS that hints at possible rotation, likely with the result of a high number of false alarms? Don't issue a Tornado Warning, but allow a Severe Thunderstorm Warning to cover the possibility of brief spin-up tornadoes that produce minor damage in a short path? 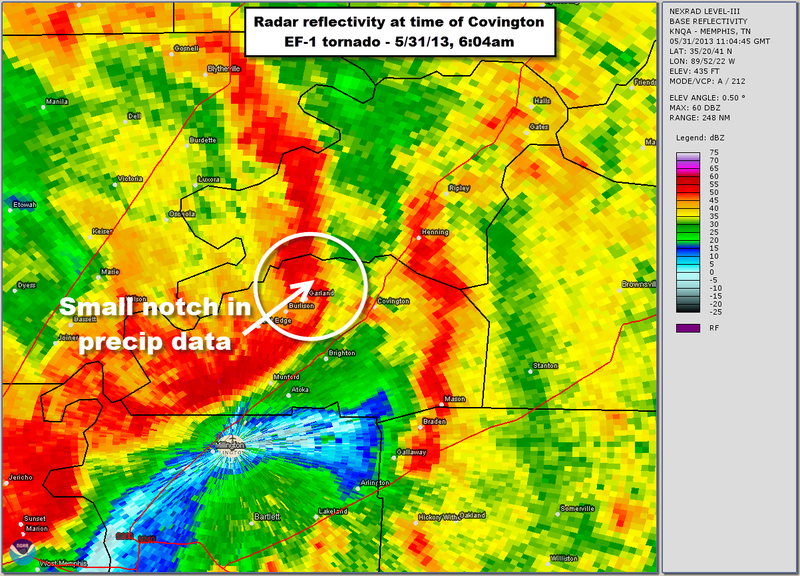 (Top) Reflectivity data at 6:09am, about when the tornado lifted. This panel look less ominous. (Bottom) Velocity data at 6:09am. The rotation has weakened considerably. 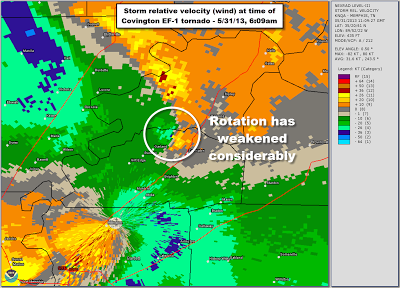 In the case of the Covington tornado, a Tornado Warning was not in effect, but a Severe Thunderstorm Warning was issued well before the line of storms reached the affected area, due to the likelihood of damaging wind. In addition, there was not a Tornado Watch because the threat of tornadoes over a large area was very low (and since this was the only report of a tornado, it makes sense that a Tornado Watch was not in effect). Because of their transient nature, QLCS, or squall line, tornadoes (which are almost always EF-0 or EF-1 in strength and produce minor damage and typically no injuries) are extremely hard to produce timely Tornado Warnings for. Whether a Tornado Watch is in existence or not, and no matter how small the tornado threat might be, severe thunderstorms can, and occasionally do, produce tornadoes. If a squall line is heading for you, you must be mindful that a brief tornado is possible. Not the big monster EF-4/5's that come from supercells, but a 80-100 mph wind producer. Severe Thunderstorm Warnings indicate the likelihood of imminent severe weather, which can and often does include damaging wind of at least 60 mph. Whether it originates from a tornado or straight-line wind, 60-100 mph wind ins a squall line will cause damage. Tornado Warnings are NOT always issued for every remote tornado possibility. Meteorologists have a hard enough time getting people to heed Tornado Warnings with false alarm rates hovering near 75%. If every possible spin-up in a squall line got a Tornado Warning, the public would become even more siren-weary and nobody would pay attention when there was a serious threat. The point of this post is to remind you that all severe weather can be dangerous and damaging - not just supercells with big tornadoes. If a Severe Thunderstorm Warning is issued, go inside, stay away from windows, and if it gets real ugly out, get in your safe place. Don't wait for a Tornado Warning. Your time to take action may be limited, especially with fast-moving squall lines that can hit and be gone within a matter of minutes. Like April, May was cooler and wetter than normal. In fact, the month was very rainy with the May precipitation total of 10.75" ending up as the 4th wettest on record. Temperatures so far in 2013 are averaging about one degree below normal, while the year has been very wet with 10.30" of rain above average. May started with record breaking low temperatures early in the month. There were two severe weather episodes - on the 21st (which featured some high wind but mainly flooding rain) and 31st. 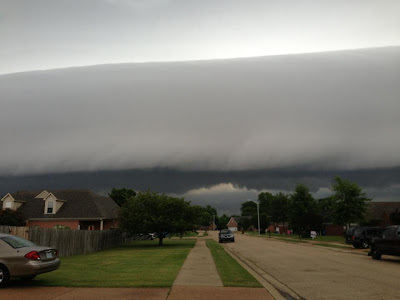 The last day of the month had a few severe thunderstorms and one tornado. The tornado was an EF-1 with 95 mph wind that touched down for 4 minutes just after 6am four miles northwest of Covington, TN in Tipton Co. Two homes sustained significant damage and a shop was destroyed. Climate details for May can be found below. 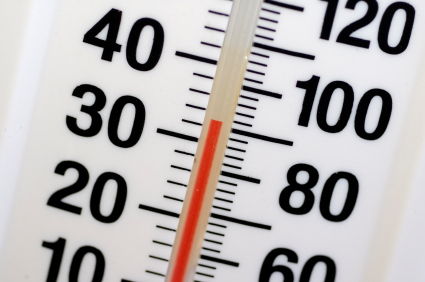 The average temperature for the month of May was 69.7 degrees, or 2.0 degrees below normal. The average high temperature was 78.7 degrees and the average low was 60.6 degrees. The coolest temperature of the month was 36 degrees on the 4th, while the highest temperature was 89 degrees on the 29th. Record low temperatures were set on the 3rd (37) and 4th (36). The low of 36 on the 4th also set a monthly record low for the month. Precipitation for the month totaled 10.75", which was more than double the average monthly rainfall (5.50" above average). There were 10 calendar days with measurable rainfall, five of which recorded at least 0.5" and three which saw 1" or more. The maximum 24-hour rainfall was 4.18" on the 21st, which also set a daily record. The peak wind gust was 40 mph from the south on the 31st with an average wind speed for the month of 8.1 mph. Click here for a daily statistical recap for Memphis International Airport. The average May temperature at Cirrus Weather Solutions was 69.0 degrees with a maximum of 89.2 degrees on the 19th and a minimum of 34.9 degrees on the 4th. May precipitation measured 9.69" via the Cirrus automated gauge and 10.10" in a manual gauge used for the CoCoRaHS program. The measured peak wind gust was 23 mph on the 30th. Average relative humidity was a sticky 75%. Click here for a daily recap on MemphisWeather.net. For the month of May, the average temperature error in all MWN temperature forecasts was 2.27 degrees, lower than all available computer data models lest one (the NAM) and the National Weather Service forecasts. Nearly 66% of the MWN temperature forecasts for the month were within 2 degrees of the actual temperature. MWN's forecasts extend out five periods (2.5 days, or roughly 60 hours). For dewpoint accuracy, the MWN forecast averaged 2.55 degrees error and fell within 2 degrees of the actual dewpoint over 58% of the time. Historical accuracy statistics can be found here. It was just yesterday afternoon (June 1) that a bunch of "weather weenies" and I were standing around discussing chaser philosophy. The discussion was prompted by the Oklahoma City/El Reno tornadoes the night before, which at the time we knew had killed 9 people. The reason chasers were being discussed, however, was because of news that The Weather Channel's own Mike Bettes had been in a TWC chase vehicle that had been rolled by the EF-3 when it made an unexpected hard left turn, catching many chase teams off guard. Multiple videos had also surfaced of chasers seemingly "pushing the limits" in their pursuit of glory. 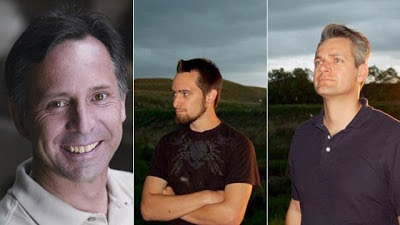 Of the nine confirmed deceased in the Oklahoma City metro on Friday night, three were renowned storm chaser/scientist Tim Samaras, son Paul Samaras, and chase partner Carl Young. Tim was a veteran tornado, lightning, and hail chaser who had many scientific accomplishments on his record. He had engineered "turtle" probes that were placed in the path of a tornado in order to get meteorological data from inside the storm. And recently he had worked on "The Kahuna" - a mega-camera housed in a nondescript white trailer that recorded lightning strikes at up to one million frames per second in order to further the science surrounding these magnificent bolts of electricity. Tim holds a Guinness World Record for recording the greatest pressure drop inside a tornado - an astounding 100 millibars - with one of his probes. Tim and Carl, his chase partner of 10 years, had been featured on Discovery Channel's series "Storm Chasers." Spotters with their GPS's on pay tribute to Tim, Paul , and Carl. Image credit: James Spann. Last July, I had the distinct pleasure of listening to Tim and fellow chaser Chris Chittick speak at DASCCON-1, a severe weather workshop and conference in Jackson, TN. 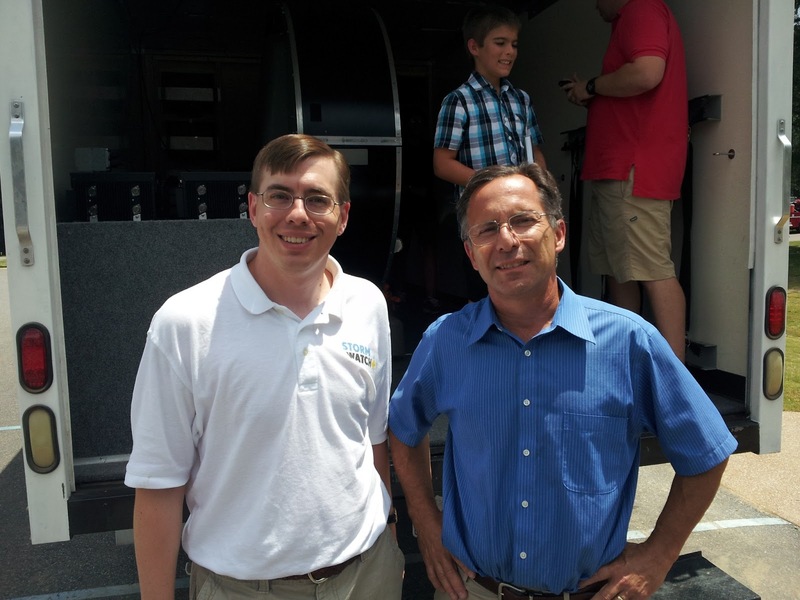 I was able to meet Tim as he gave me and several other attendees a tour of "The Kahuna." It was the first time the mega-camera had been on display to the general public. Though I was certain I was in the presence of greatness, he was down-to-earth and very easy to talk to and obviously passionate and excited about his newest project. As we walked through the back of the truck where The Kahuna sat, he eagerly described how it worked and the scientific questions he hoped to be able to answer with it - namely filming in ultra-high-speed the moment a lightning strike was born. This singular experience has given me high respect for his work and Tim as an individual. He spoke to each and every person that came by, signed autographs, and took pictures with everyone that wanted one with him. Below is a very well done tribute video put together by the Day family of northeast MS (@5stormchasers) that includes several pics taken at DASCCON-1. Rest in peace Tim, Paul, and Carl. The weather community mourns with your families, but we are confident that by now you have unlocked the secrets of the atmosphere that, with time, you would have discovered on your own through your dedicated research.